Unfortunately, when you have a one disconnected down spout and another clogged down spout, they also bring a flooded basement and an unhappy Kerry. Two years ago, we began the first step in what became a full house, room by room, remodel. 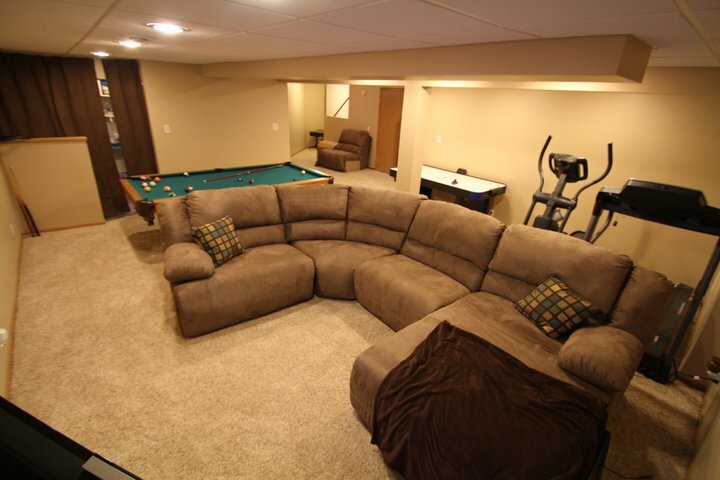 When phase one was completed, my drab boring basement was transformed into this. Behold, the Kerry Cave. Well, Saturday night, I was running around in a mad dash to cross a number of tasks and chores off of what seemed like an endless list. We were supposed to have the birthday party for the new teenager, Paige, the weekend before. I had the house already scrubbed and decorated, the food already bought, when the birthday girl woke up sick on the day of her party. Many tears and phone call later, we pushed the bash off a week. Luckily, the blown up balloons and taped up banners survived the week, but my clean house did not. Darn it if my family couldn’t control themselves enough to not mess up my house for one week. We had just survived days of endless rain and the sunshine finally broke through. I rounded the couch in my cave to grab something from the other side of the chaise, when….squish. But, of course it was. The whole northeast corner was sopping wet. So in addition to making a new cake and cleaning up the joint, I got to Shop Vac carpeting and create a different kind of Fan Cave. I’m currently on day three of sucking and blowing. (Walked into that one.) 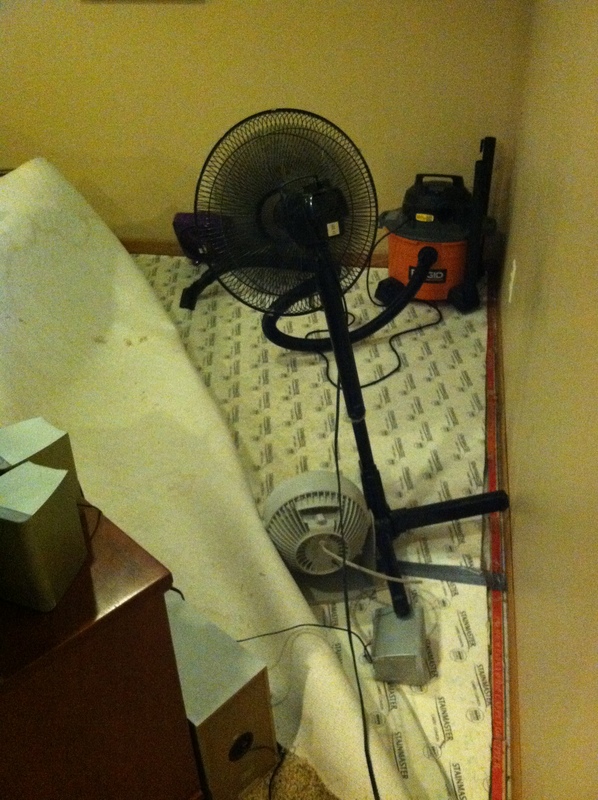 At this rate, the carpet will be completely dry on Wednesday, just in time for the next predicted thunderstorm…..